Most of the regular gadget of Walton have a large fan in BD. It is just possible for the company to make a good device at an affordable price. Bengali people like this kind of deal really. Now we are going to talk about Walton 28 inch LED TV price in Bangladesh what is affordable event its specification makes anyone pleasure. Even its appearance is also nice and public focus catchy. For detail discussion, we are talking about WT28E42. I mean the article is about Walton 28 inch led TV price and all detail of the television. First of all, Walton brings its produce in the BD market as cheap it possible. And it is just because the company is Bangladeshi. And this is the plus point. Walton 28 inch led TV price in Bangladesh is start from 25,500 Taka. Every TV has a white and black version. If you visit the Walton official showroom then you can get the product in actual price. If you don’t and visit a shop to buy the device then it price may pretty large. In fact, shops sometimes do not give you other related gadgets what Walton include on the box like remove, cable. The TV is possible to hook on pipe stand, wall or set on a table stand. On the box of TV, Walton will add screw, cable stand of the TV. Even the company will add a remote with a pair of battery, user manual and screen protector enter the box. Both of Visual and audio noise reduction system. And it makes sure that the device will give you the crystal clear output. Real 28 inch TV. And the size is without Brassell and frame. Picture Resolution of the screen is a 1366×768 pixel. Full premium HD output. It is an amazing after judge the price in Bangladesh the Walton 28 inch led TV. Other second main attraction is it’s color and picture tube quality. Not a 3D TV but it will output clear visual. There makes with Low contrast ration (3000:1) will deliver the maximum pure and clean image. Not time to end. 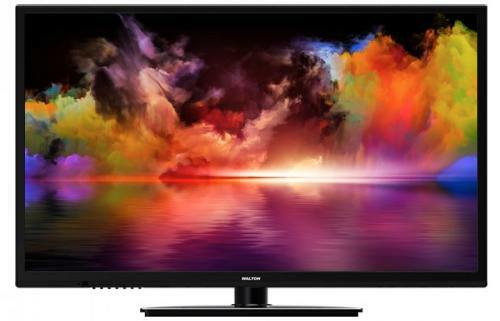 Walton 28 inch led TV price in Bangladesh is not too bigger than its configuration. Any medium earning people if he collects extra 5,000 Taka in each month. It will take 5 months if he save money like this. The good news is Walton Bangladesh are also provide their maximum device in installment for more than one year.